Home / Archive by category "Children"
This little guy was all of 10 months old at this shoot that we did at a beautiful little patch of green near his home in northern Sydney. 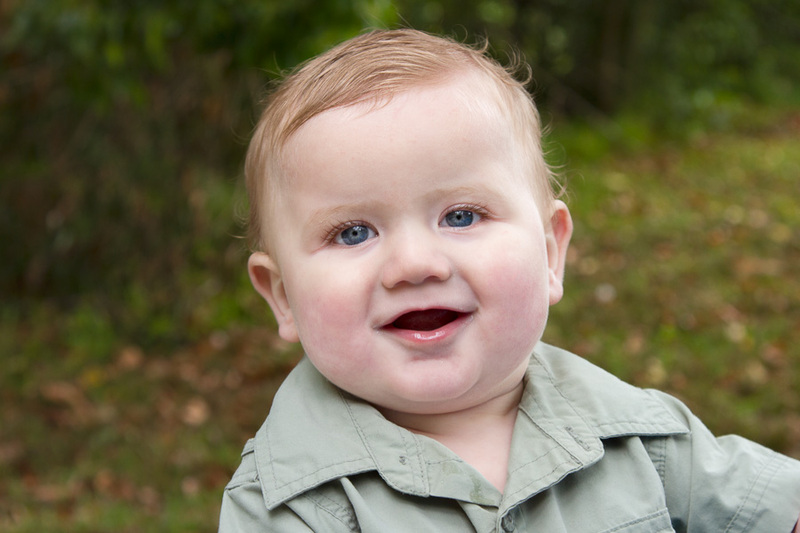 He still has all his beautiful baby chubbiness – chubby cheeks, roly poly arms and legs and the chunky little body that hasn’t quite emerged from it’s babyness into toddlerhood. He gave us some beautiful big smiles and grins and was such a happy little guy. But what did I love the most from this shoot? The images I have below are what I love to capture. This little guy is the youngest of six boys to this amazing mum and the connection and love between the two of them is delightful to see. I love that I managed to capture their bond – having a glimpse into this family bond is one of my favourite things to see and capture. 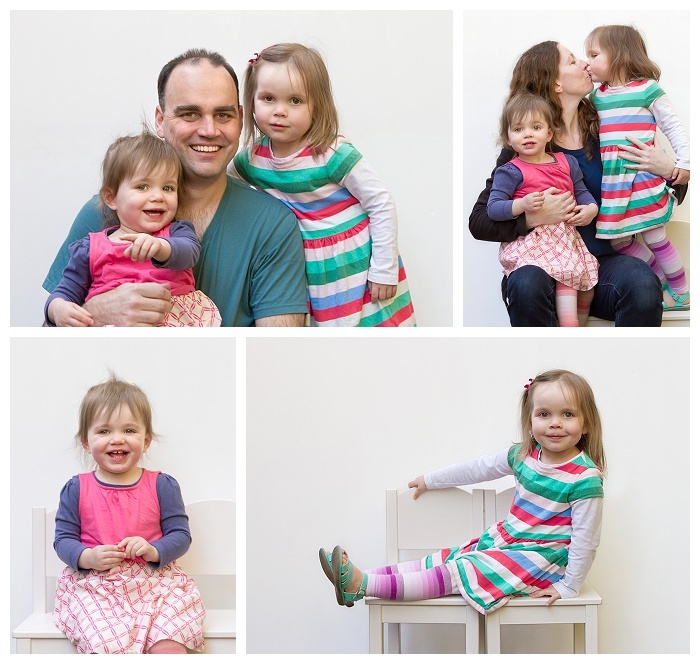 The best part – his mum told me that she didn’t want to be in photos, that she generally hates photos of herself, but on seeing these she had to have them. 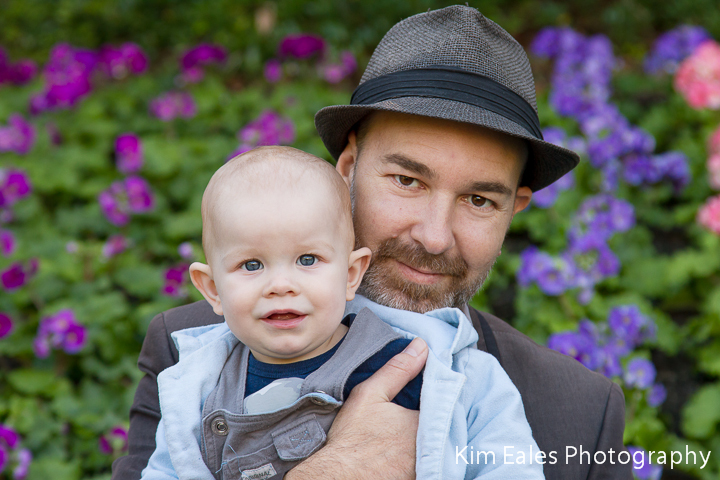 Get in touch with me to book your family in for a photo session with me and exist in photos with your children today. Another gorgeous photo shoot from up in Brisbane, just check out the smiles! Big sister was very definite that she wanted to have the photos taken where there were blue flowers – luckily these gardens had plenty of variety and we could find some that satisfied her. The two girls adored each other and I got the biggest grins from the younger sister when I enlisted her big sister to help me get her to smile. There were giggles and shrieks aplenty from these two! This was my first go at doing a cake smash and it was SO much fun! The cake looked fantastic, the baby was cute and although he took a little time to work out what was going on in the end he got stuck into it all pretty well! 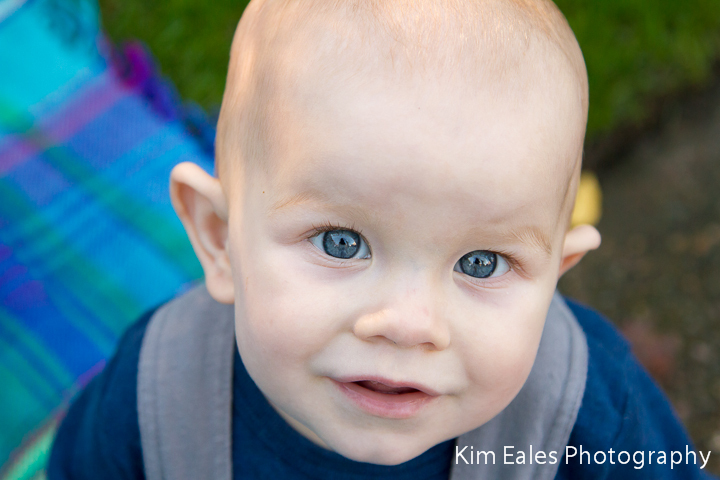 I just love the bright colours and he has the most adorable blue eyes. 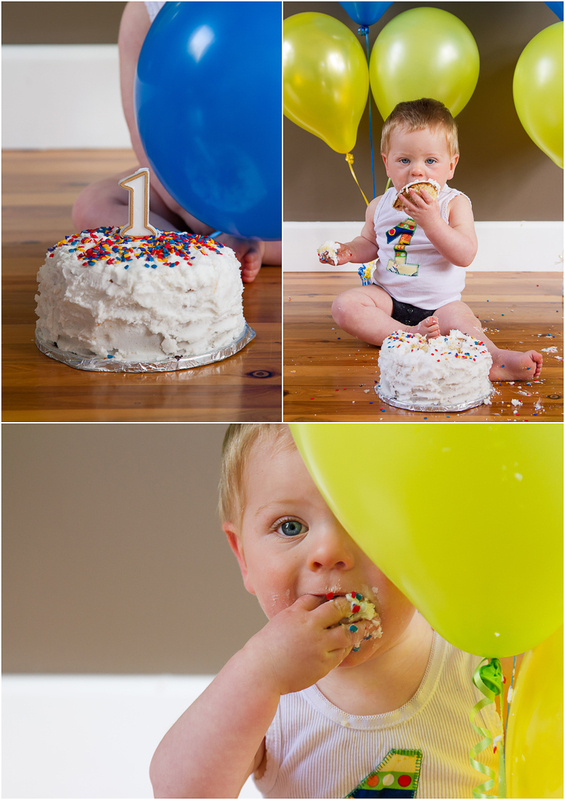 After having a good go at the cake, he thought the balloons were a lot more interesting though and preferred playing with them. You wouldn’t have known it was the middle of winter in Brisbane! 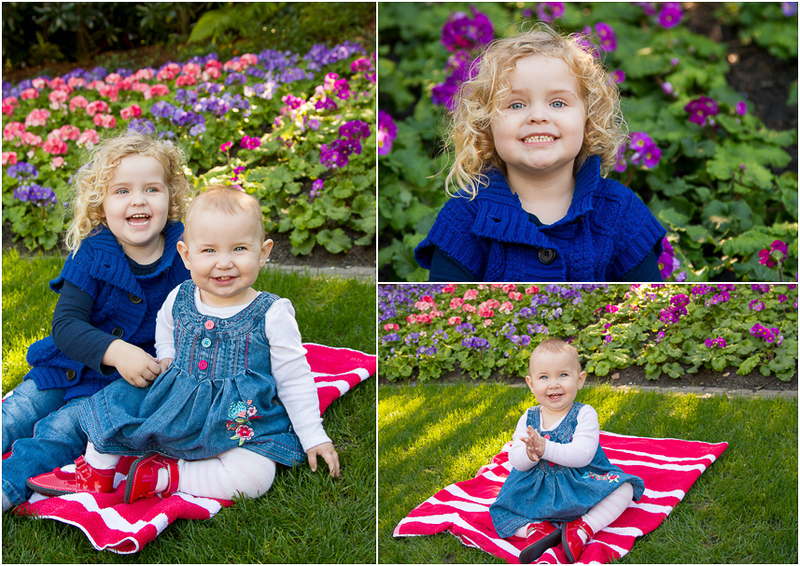 The morning was clear and mild, the flowers were blooming and everyone was in a great mood for this gorgeous family photo shoot at Roma Street Parklands in Brisbane. I had headed up for the weekend as a bit of time out for myself and still managed to fit in four shoots! 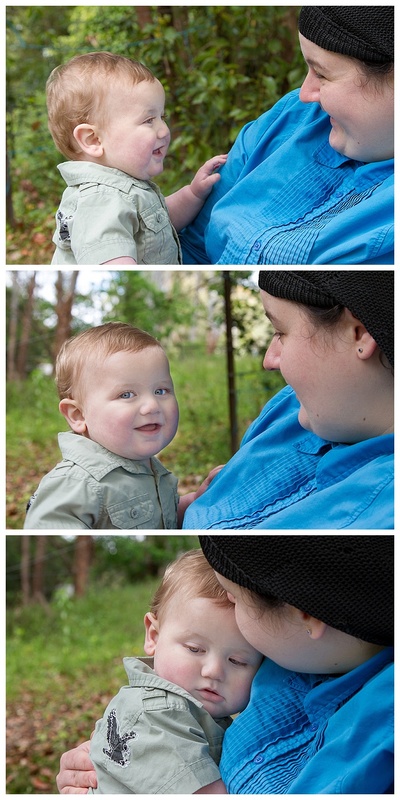 This was a mini shoot to catch young Jack as he gets close to one year old. He has the most glorious clear blue eyes and was such a happy little chap, he readily engaged with the camera and obviously adores (and is adored by!) his parents. The flowers made a lovely, colourful backdrop to the photos, it was so lovely to see them all out in the middle of July. Expect to see a few more of my shoots from Brisbane over the coming weeks. I had a fabulous weekend catching up with friends and doing these shoots. 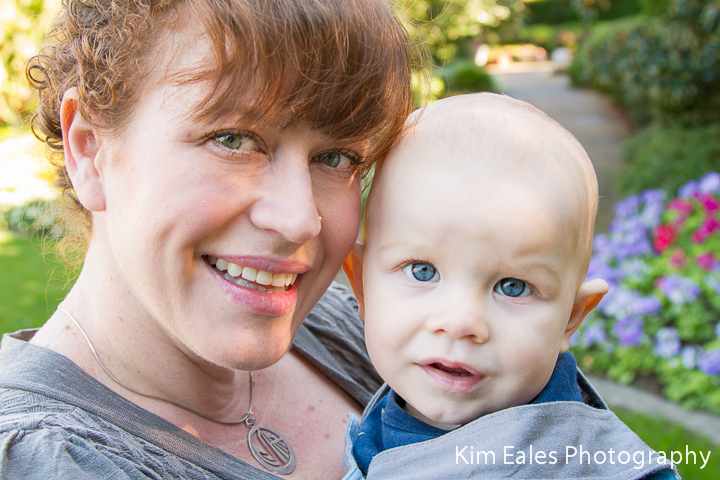 Part II of my winter mini shoots shares the photographs of two more little boys who will be turning one soon. These were taken on the same chilly morning as the last ones I blogged and the little guys braved the cold and put on some smiles for me. This first little guy hadn’t been too well during the week but nothing could stop him from smiling that cute little grin and letting us see those two bottom teeth. He seemed pretty impressed with the print his mum had made up listing all his stats and some of his favourite things – I thought it looked pretty damn good too! Since he wasn’t feeling too well still, it took a little to get him interested, but then mum brought out one of his favourite toys – the orange truck. Well, you just couldn’t stop him playing with it and the suitcase made the perfect surface for him to run it along. 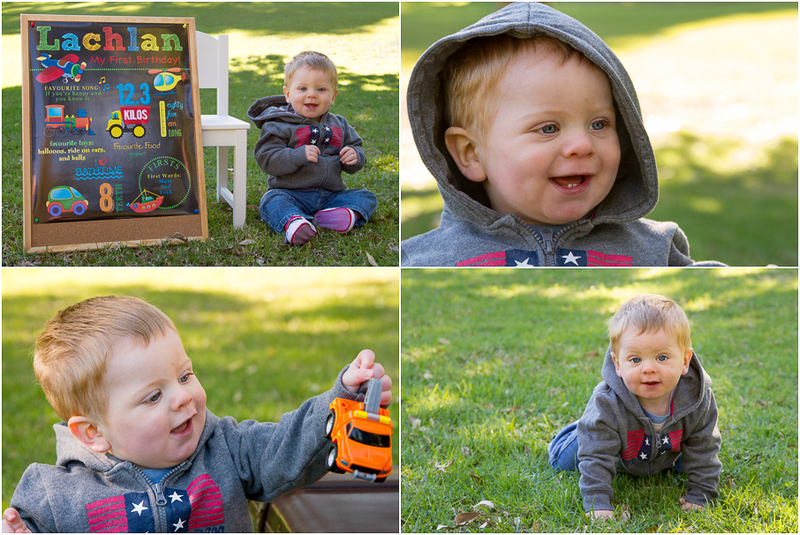 He really is a happy little fella and with those beautiful blue eyes made a gorgeous model for these photos don’t you think? This next little guy had also been a bit crook during the week and came along all rugged up for the shoot. 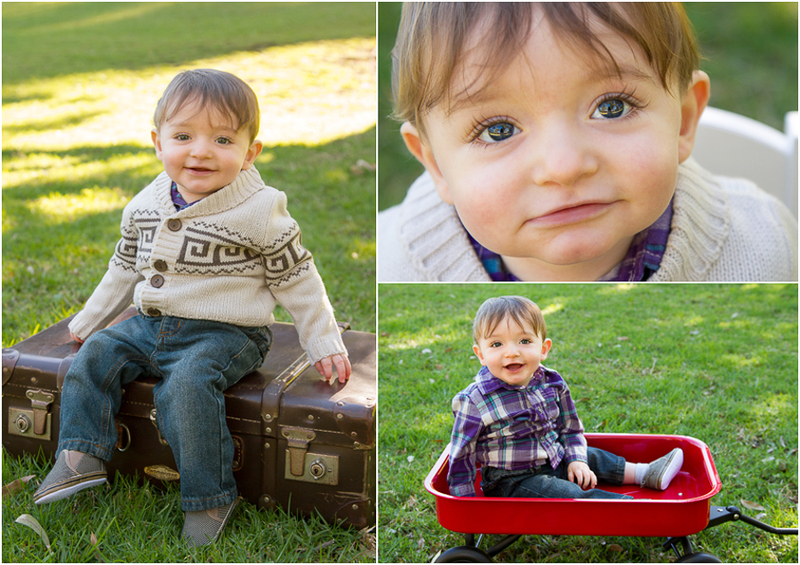 He still managed to pull out some smiles though – especially when he was in his little red wagon. And check out those eyelashes – he has the most amazing, long curling lashes that will be the envy of every girl when he’s a bit older! It was a chilly but sunny winter morning at a local park to capture photos of these bubs who are all heading towards their first birthday. 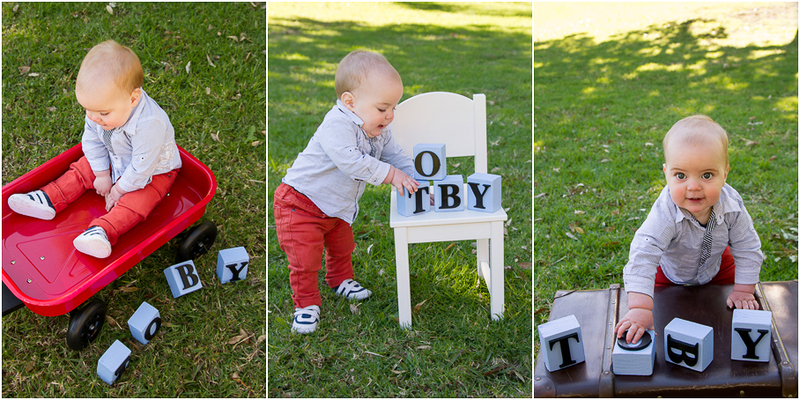 First up here we have Toby – his mum had made these awesome wooden block letters for his name and they really made for some cute photos. Toby just wanted to play with them though and every time we set them up it was a race to see who was quicker – him to pull them down or me to get the shot in! Toby also has the cheekiest grin for a bub I’ve ever seen, but by far the biggest smile was saved for when he was getting cuddles from mum. 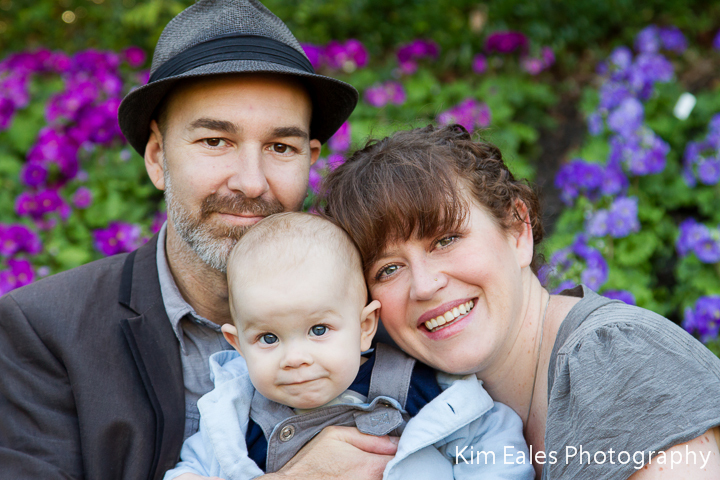 At the end of the shoot, I had my husband bring our little girl along as she is the same age as the other bubs who were there. I did a mini mini-shoot for her as I don’t always get the chance to do a proper shoot for her and generally just grab what shots I can when the opportunity arises. 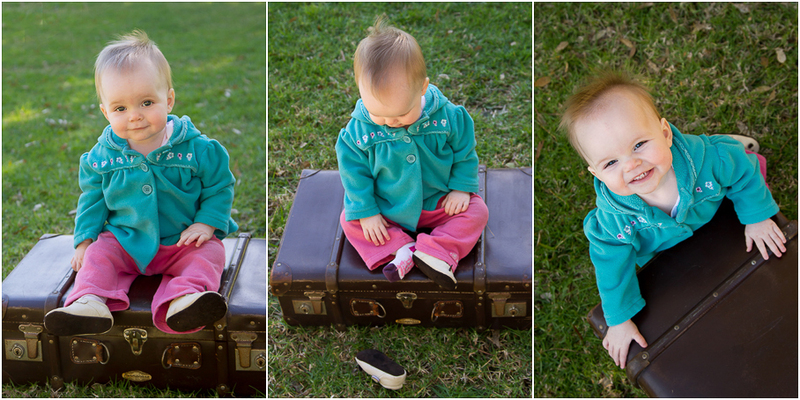 So it was lovely to actually get some photos of her with props and take a little time over it. The photos below are some of my favourites of her, especially the big grin at the end. It seems she has already learnt the curse of a photographers child and getting a smile on camera is already a challenge!